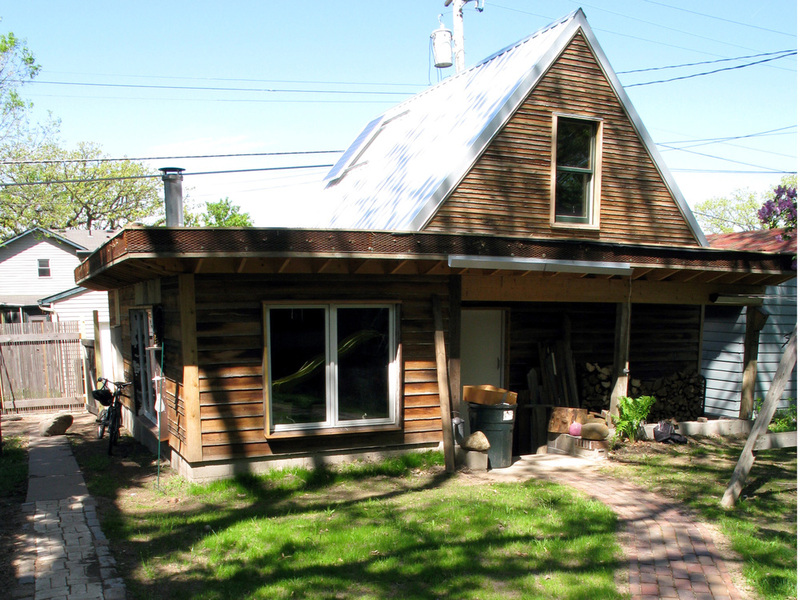 This two-story garage and workshop in St. Paul blends old and new elements to create a highly functional workspace powered entirely off the grid. Instead of a straight teardown, we preserved the structure of the existing garage while adding a 14/12 pitch roof and a small addition to the side. 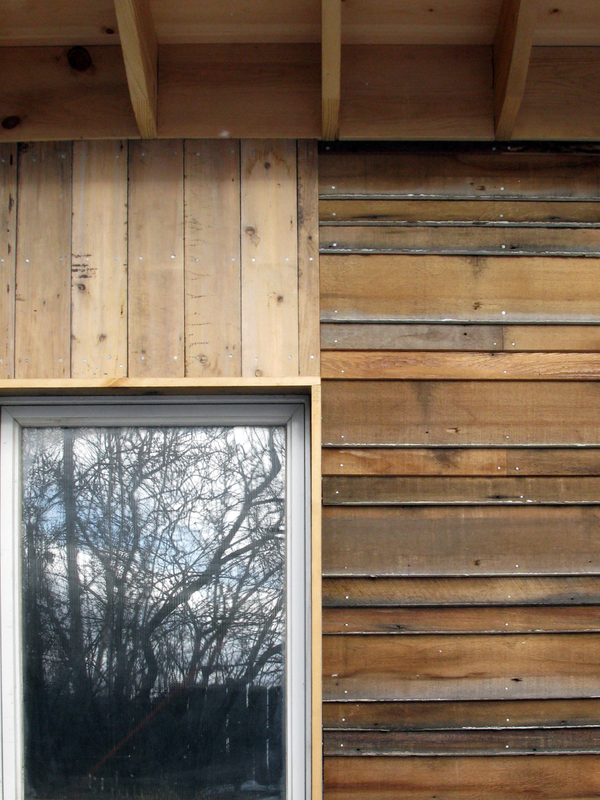 The new construction uses only salvaged, sustainably forested, and recyclable materials. A self-contained solar electric setup powers the garage door opener, LED lights, and some outlets. 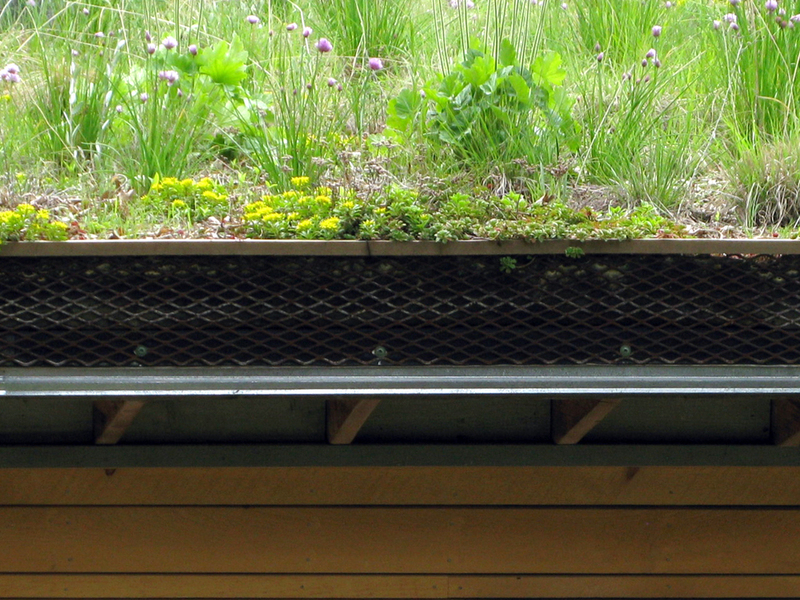 On top, a living roof of native sedums and herbs reduces water runoff and heat.